I’ve always loved visiting this place, ever since I was a little girl. As a child, I thought about working there for a career and more likely than not, there is one in your area. What am I am talking about? I love the library! I always have. As a little girl, in high school, college and especially as a mother. Thanks Benjamin Franklin! He invented a lot of things… including the library. Maybe when you think of the library, senior citizens and story times for young children come to mind. Maybe you think, this place has nothing to offer you. 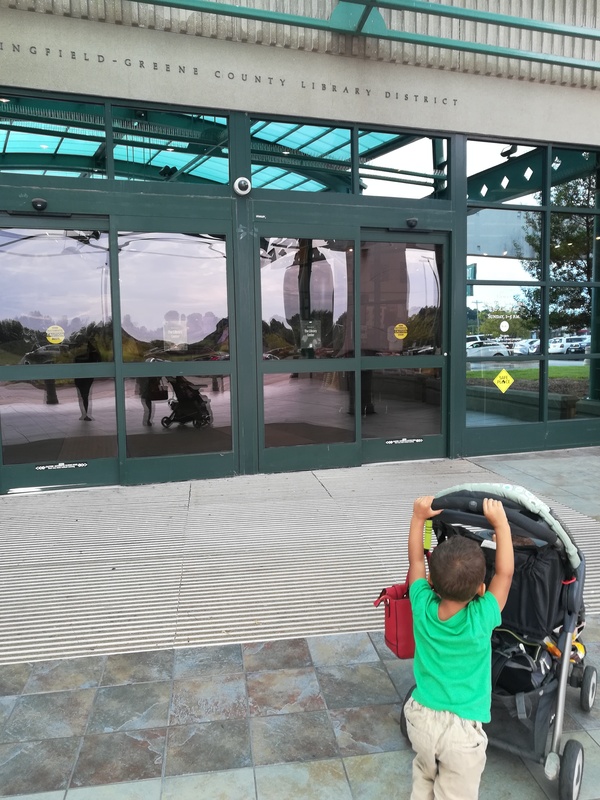 Although seniors, toddlers and stay at home mamas are some of the most frequent patrons, the library has something for everyone. I am a frequent visitor of the Springfield-Greene County Library District, the library in my area, and I love it. If you’ve been following my blog for a little while you know that I love reading. My favorite library related thing to do is reserve books and movies online. I’m sure it sets of the same brain chemicals as online shopping but it’s free books! Also did you know that you can rent movies at the library for much cheaper than Redbox? The library also has wonderful story times and events for children as well as free movie showings on the weekends. Our library has lovely children’s books, toys and music that can be checked out. There are also toys that can be played during a visit. Discussion groups on books and book signings from visiting authors also take place at the library. Another little know fact about the library, did you know that your local library may offer classes on various hobbies? I once took a class on how to make a pie crust and I loved it and there were free pie samples😋. One of my favorite things about the library is the drive thru! The fact that I don’t have to unload my kids to pick up books and movie is a treat. Are you a lover of your local library or are you overdue for a visit? (Yes that is an intentional library pun!😄) Comment below!